The Landmark District is about to get its tallest tower. Al Stober Construction announced Thursday it will be building Landmark 7 in the Kelowna neighbourhood. It will be a 23-storey office tower the company says will incorporate Kelowna’s live, work and play vision as part of its urban plan. 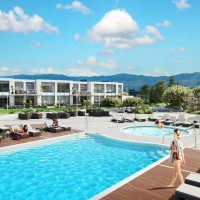 ASC’s vision is to attract business to Kelowna that would normally head for the Lower Mainland, and its goal is to have more than 5,000 people working in the district once Landmark 7 is complete. 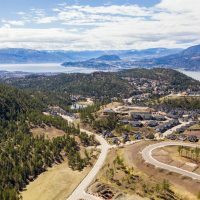 “In order to meet the demand of projected growth of our business community and bring new jobs to Kelowna, we are under a lot of pressure to get this project completed,” ASC project developments manager Bob Dagenais said in a press release. The tower, designed by Stoke Tonne of Meiklejohn Architects, will feature 224,000 square feet of commercial office and retail space, retail shops and restaurants at street level, and a public outdoor plaza that will connect the project from Dickson Avenue to the Landmark District Market to Parkinson Recreation Centre. 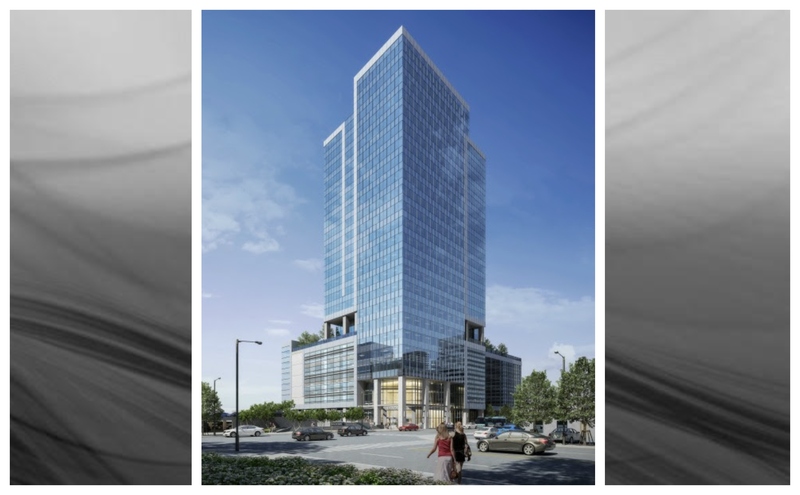 “We have had a record year with leasing and simply do not have enough space to meet the demand,” ASC commercial properties marketing agent Dallas Gray said in the release. The fifth floor is slated to have an 11,000-square-foot events centre that will seat up to 350 and will feature an outdoor entertainment deck and community gardens. Other planned amenities include a state-of-the-art fitness centre on the second floor, along with electric car charging stations, bike lockers and a ride-share program. If all goes according to plan, the building will be completed by the spring of 2022.